The Constitutional Court of Romania will discuss on March 6 the unconstitutionality claim filed by President Iohannis with respect to this year’s state budget bill. The head of state says, among other things, that its adoption breached the role and the powers of the Fiscal Code and that the PM and the Finance Minister have not signed a statement taking responsibility for the bill, as required by the law. Moreover, the bill comes against the commitments made by Romania as an EU member, against fundamental rights and against the principles of decentralisation and subsidiarity. 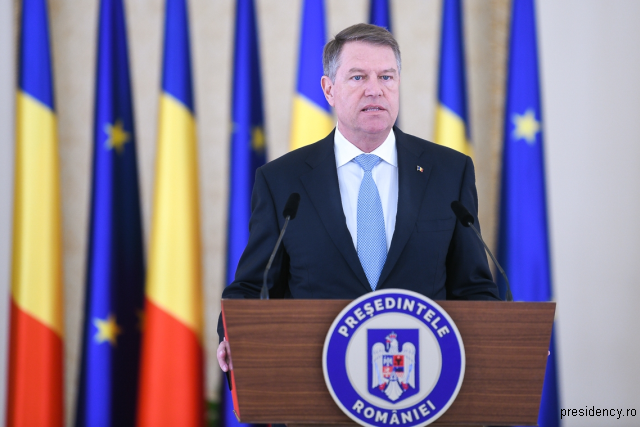 On Friday, Klaus Iohannis criticised the budget bill as a “national disgrace”, and described it as unrealistic and over-optimistic. The President lashed out at the Social Democratic Party, the main party in the ruling coalition, which he said is unable to govern the country and only rules to the benefit of the Social Democratic leader Liviu Dragnea. Iohannis also criticised the under-funding of local communities, regional hospitals, education and investments. He mentioned the changes in the judiciary as well, and accused the Social Democrats of trying to settle the criminal cases involving party members by politicising the justice system. In response, the Social Democrats reject the criticism and claim the President’s statements are purely electoral in nature, lacking any real grounds. The Cabinet members warn that the delays in endorsing the budget bill will disrupt the activity in many fields. On the other hand, the Liberal Opposition says the President’s decision to challenge the budget bill is a legitimate and perfectly justified measure. The president of the National Liberal Party, Ludovic Orban argues that the draft budget is superficial and does not rely on correct figures.